This wine is made from the old autochthonous Cagnulari grape which is typical from the Usini area. Giovanni Cherchi has always tried to enhance this variety, which was almost extinguished, and he has been the first to produce a wine made solely from Cagnulari grapes. It has a deep ruby red colour. The bouquet is intense, persistent and fine. 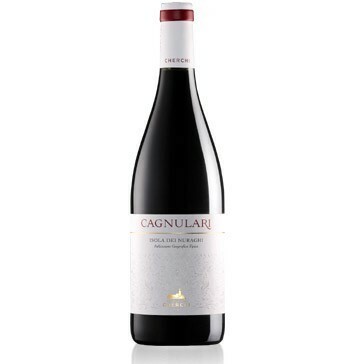 It is fruity, rich with notes of cooked plums and black cherries. Good companion to the Italian antipasti, pasta, white meat and fresh cheese. Serve at 16-18° C in a smooth transparent crystal glass. The bottles should be placed horizontally in a cool, dark, humid cellar.